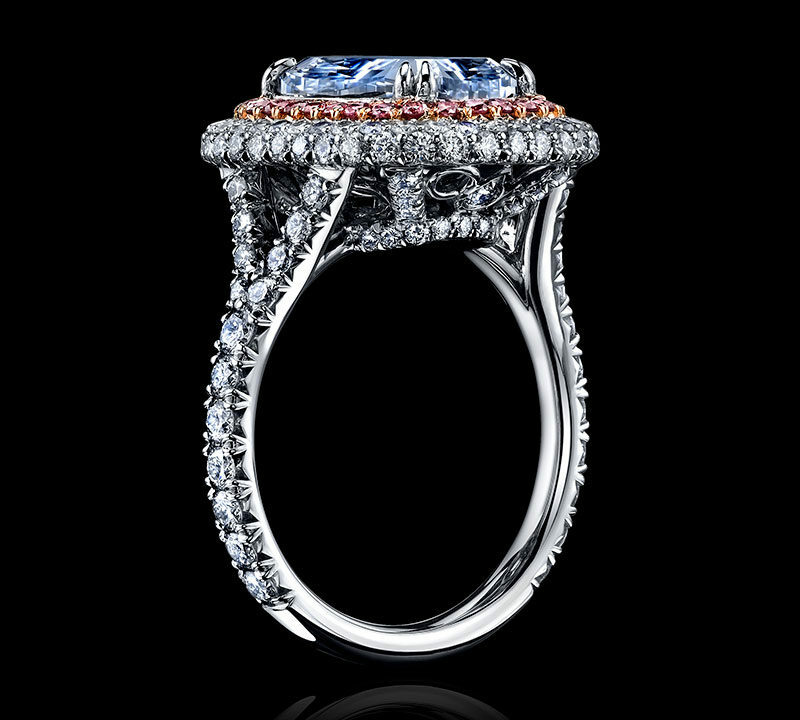 While we place great value in colorless diamonds, beauty is also found in the vibrant hues of colored diamonds. Diamonds form over billions of years and exposure to different minerals and pressures change their composition. These minerals can imbue diamonds with breathtaking colors across the spectrum. 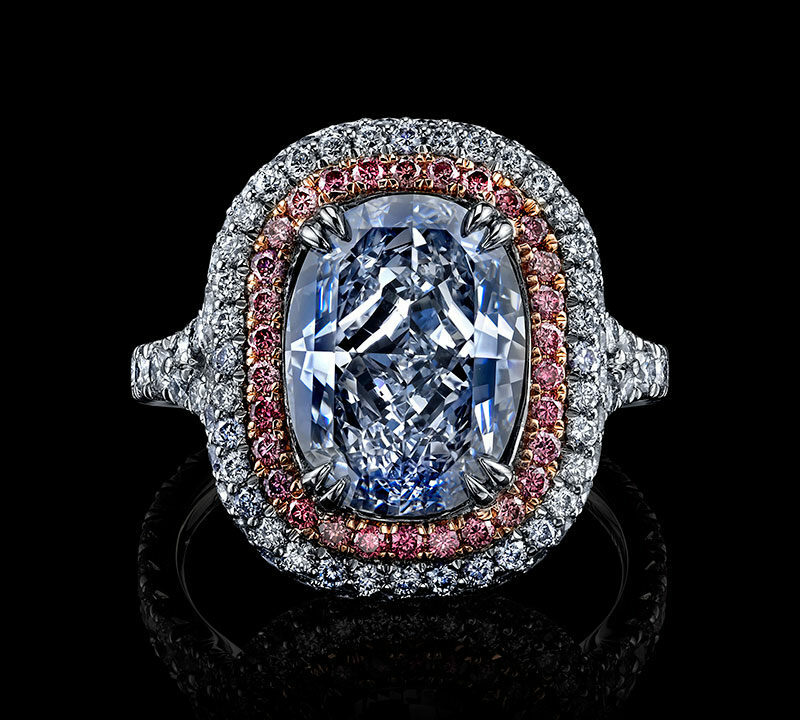 The more intense a diamond’s color, the more valuable the stone. We grade a colored diamond’s intensity through a grading system ranging from faint to fancy and intense. 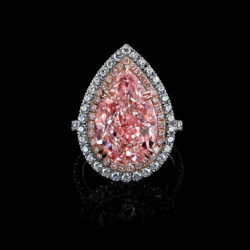 Diamonds with the deepest colors, classified as fancy colored diamonds, are exceedingly rare. In fact, while only 20% of mined diamonds are gem quality, just one out of every 10,000 diamonds are the classified as fancy. 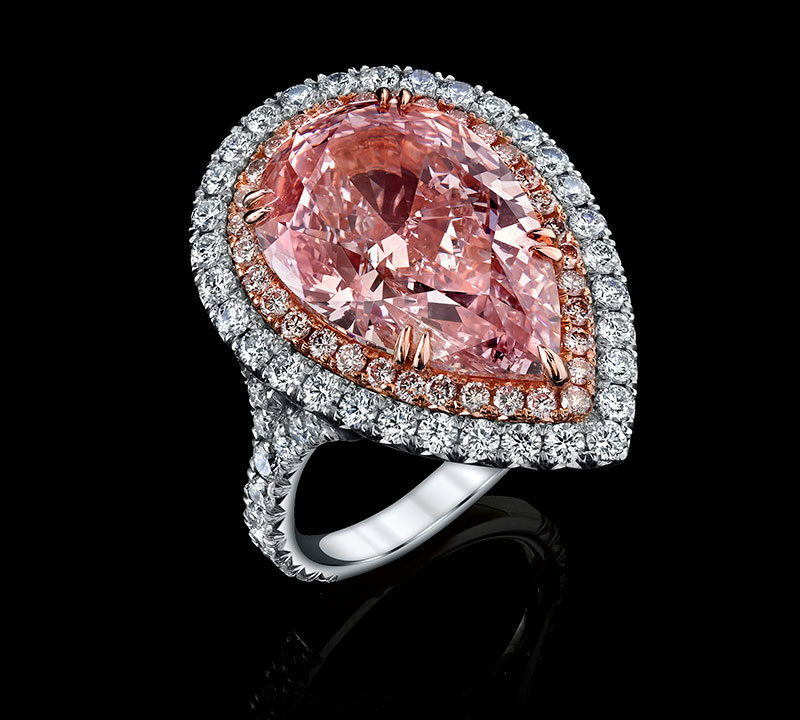 These fancy colored diamonds have fetched some of the highest auction prices in the world. The rarest colored diamonds are red and blue. In fact, red diamonds are so rare that only a handful are known to exist. Only 1 in 10,000 diamonds has a fancy color. Fancy color diamonds are classified as gems that fall outside the GIA color-grading scale of D-Z and can come in almost any color. While most diamond value is determined through the 4 C’s, the value of a color diamond increases with the strength and purity of color. 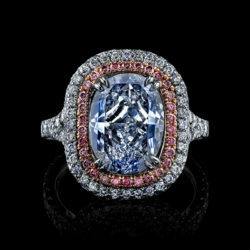 Large, vivid fancy color diamonds are extremely rare and very valuable. What makes each colored diamond? GIA color grading for fancy color diamonds takes into account hue, tone and saturation. The GIA has defined 27 different primary hues for colored diamonds, including secondary hues found in a diamond. Tone defined by the amount or lightness of color. The most desirable tones range from light, fancy light, fancy, fancy intense, fancy vivid. Finally, saturation is the intensity of the hue. The color grade can differ across color, for example a GIA Fancy yellow diamond has a higher saturation than a Fancy blue or pink diamond. 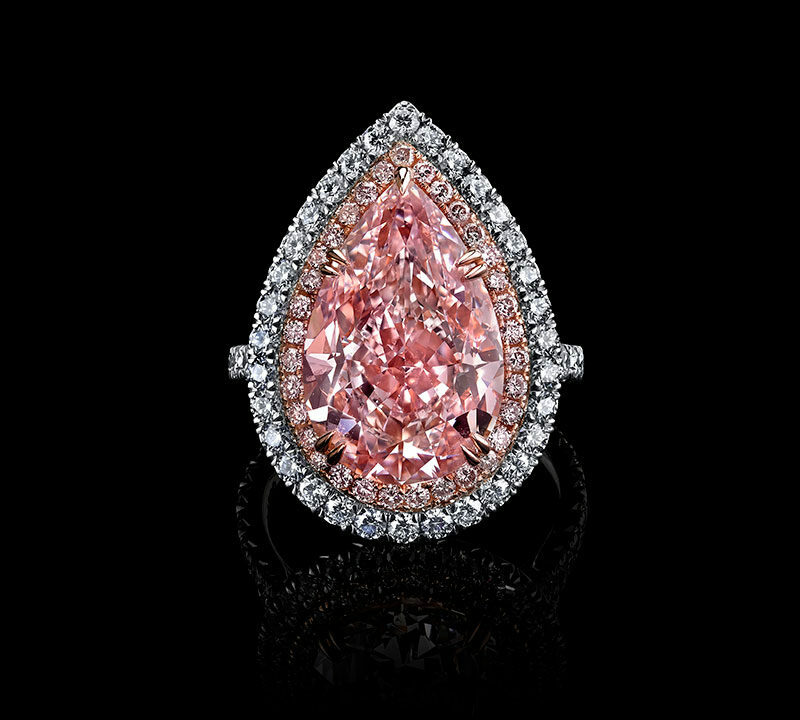 Red & Pink Diamonds are caused by irregularities in the crystal’s atomic structure due to a combination of intense pressure and heat. Red diamonds are so rare that you could hold all known to exist in your hand. 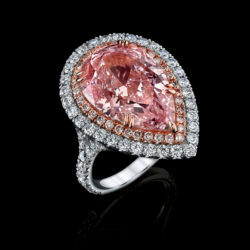 As of 2009 only three 5-carat red diamonds were known to exist. The largest at 5.11cts is the Moussaieff Red graded as Fancy Red. Green Diamonds develop color very late in their development, absorbing naturally occurring radiation near the Earth’s crust. 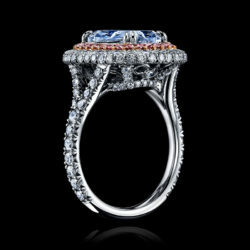 Blue Diamonds get their color from traces of boron, which bonds to carbon in the crystal structure. Diamonds turn blue when boron particles become trapped in the diamonds crystal matrix. Orange and Yellow Diamonds owe their color to nitrogen. Depending on how the nitrogen atoms align changes the hue from orange to yellow.